China, Antarctica, krill: Mining, food resources eyed, Times reports. Is China Creeping on Antarctica? A Chinese installation on King George Island off the coast of Antarctica. A New York Times piece Monday reports on China’s pursuit of Antarctica’s “resource potential” via the expansion of its research and tourism presence on the continent—moves made with an eye toward establishing a sphere of influence that could become advantageous if and when bans on Antarctic military and mining activity are lifted. Recent indicators of the Asian superpower’s interest in the area include the expansion of nearby krill fishing and a deal with the Australian government to facilitate the resupply of southbound Chinese ships and (potentially, down the line) airplanes. 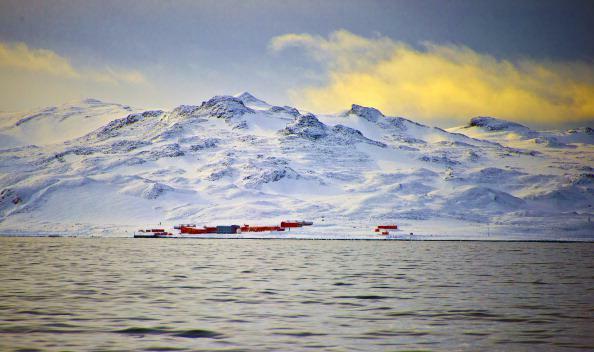 China has two permanent research stations in Antarctica; by comparison, the United States has three and Argentina has six. “We should have no illusions about the deeper agenda — one that has not even been agreed to by Chinese scientists but is driven by [Chinese leader Xi Jinping], and most likely his successors,” said Peter Jennings, executive director of the Australian Strategic Policy Institute and a former senior official in the Australian Department of Defense. Chinese officials say they’d like to catch up to 2 million tons of krill per year in Antarctic waters, a goal that alarms conservationists. The Daily Beast reported in 2011 that krill are often eaten in “Russia, Korea, and Japan as crunchy dried snacks, pizza toppings, and a concentrated paste mixed into soups, salads, and other dishes.” Krill!